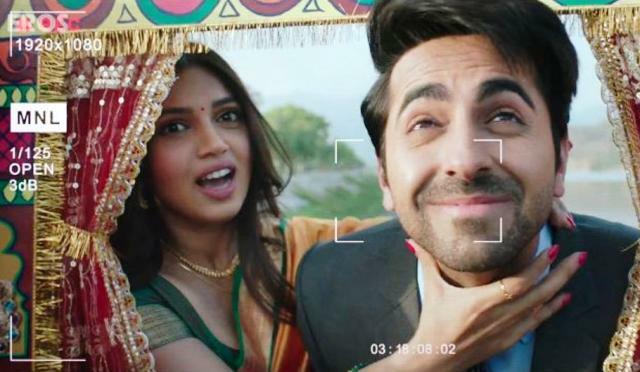 Another quirky romantic drama from Dum Laga Ke Haisha duo Ayushmann Khurrana and Bhumi Pednekar, Shubh Mangal Saavdhan was released last Friday and has completed one week on a good note. After an average opening, it picked up impressively well and remained steady in weekdays. Overall from critics, Shubh Mangal Saavdhan received mixed reviews but got succeed to entertain all the viewers. As a result, it gained positive word of mouth and attracted more audience over the first week despite having Ajay Devgn starrer biggie Baadshaho in opposite. Directed by RS Prasanna, Shubh Mangal Saavdhan opened on an average note due to clash with a biggie, but picked up impressively well from the next day. It did the business of total 14.46 crores in the opening weekend, that included 2.71 crores of Friday, 5.56 crores of Saturday and 6.19 crores of Sunday from 1400 screens in India. Then in weekdays, asusual the movie witnessed drop in footfalls but still managed to remain steady. On Monday with only 6.7% of drop than Friday, Ayushmann-Bhumi starrer minted the amount of 2.53 crores. On Tuesday it took slight jump and raked 2.85 crores, while on Wednesday again it dropped and collected 2.12 crores. On the next day i.e. Wednesday, Shubh Mangal Saavdhan faced slight more drop and garnered the business of 2.07 crores. With this, total one week total collection of Aanand L. Rai’s production has become 24.03 crores at domestic box office. Now in the next week, it will have new offerings Poster Boys, Daddy & The Rally in opposite along with Baadshaho.